Free shipping on green bean orders over 200lbs! Sonofresco Roasters are known for their simplicity and compact design making them ideal for coffee retailers and home-based businesses around the world. Venting OptionsThe Sonofresco Roaster must be vented to the outside to remove heat, exhaust gases, and the minimal amount of smoke created during the roasting process. Sonofresco offers two venting systems; a simple direct Vent Kit, and a Power Ventilation Hood. Additionally, custom venting can be constructed by a qualified contractor or technician sized at a capacity of about 150 CFM/roaster. Vent Kit: Provides the pipe and fittings to directly run the exhaust from the top of the Roaster through the nearest exterior wall or ceiling. Vent Hood: Provides a means of venting further distances without adding excessive back pressure to the roaster. The vent hood incorporates an easy to clean power ventilation fan to assist in venting and a halogen light for visibility of the roasting operation. Café Femenino. It’s a great story. The foundation works through well-established in-country farming cooperatives to foster positive change not only in the quality of coffee grown but also to reduce poverty and abuse. 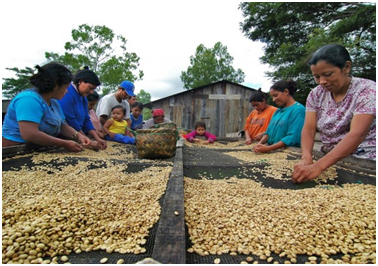 Micro loans and grants are provided to women in the poorest and least accessible areas of coffee growing countries. Typically these women perform much of the physical labor required to grow and harvest coffee yet they have almost no influence on decisions about their family’s income. Through grants better education, nutrition and health can be provided to everyone living in those villages. Through increased quality of the coffee produced better wages can be earned! Sonofresco is proud to support the Café Femenino program by selling high quality Fair Trade Organic Coffees from the following countries: Peru, Guatemala, Colombia and Nicaragua and FT Rwanda. For every pound of coffee that you purchase as a customer we donate 5c to the Café Femenino grant program as well as providing a better income through purchasing their coffee. We support Café Femenino as it is such a great examples where Fair Trade prices are helping coffee communities produce good coffee for better wages and improve the lives of the people involved. 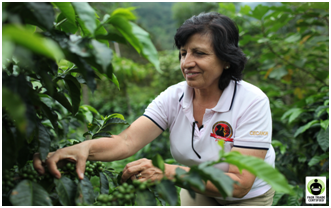 Their motto is: Enhancing the lives of women and their families in coffee growing communities around the world. Join our newsletter to receive special offers, updates, and all things coffee. © 2019 - All rights reserved Sonofresco, A Wholly-Owned Subsidiary of Coffee Holding Company, Inc.